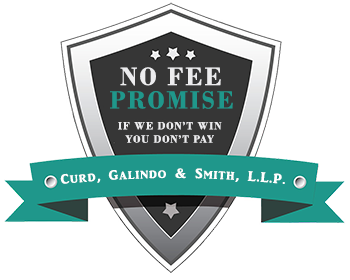 Product Defects Attorneys | Curd, Galindo & Smith. L.L.P. The product defects attorneys at Curd, Galindo & Smith, L.L.P. help the victims of personal injury or wrongful death in Southern California recover compensation from those whose negligence or wrongful conduct is responsible, including cases involving product defects or dangerous premises. There are countless medications available today that help thousands, even millions of people lead more satisfying and pain free lives. But when those drugs cause negative side effects, they are often at the center of product liability lawsuits. Drug manufacturers have a responsibility to test the products for safety and warn the public of potentially harmful side effects they know about. Because it can be very complex to prove whether a drug was dangerous, product liability cases often require expert testimony and can take years to prove. Unfortunately, only after people suffer harm from these drugs do we become aware of some of the dangers. If you’ve suffered side effects from a prescription medication or medical device talk to your doctor and contact an attorney to discuss whether you have a dangerous product claim and your injuries qualify for compensation. Product defects can be responsible for a variety of accidents and injuries, from defective household appliances, baby cribs, car and truck tires, automobile safety equipment, and power tools to heavy equipment such as lifts, cranes and other machinery. Defective cars or their components may also cause vehicle rollovers and other automobile or truck accidents. Under products liability law, the maker of a defective product may be liable for the injuries caused without requiring proof of negligence. Merely proving that the product was defective when it left the manufacturer’s control is often enough to establish liability. A product may be defectively designed or it may be defectively manufactured, so the defect may be present in every product or only one. Even manufacturing defects can show up in thousands of units, if there is a defect in the manufacturing process. Another way products may be defective is if they do not contain adequate warnings or instructions about their inherent dangers and how to use them safely and properly. Warnings should be prominent and easy to understand. Our lawyers examine all aspects of a product to determine if it was defective and if that defect caused the plaintiff’s injuries. Dangerous Premises – Property owners have a duty to maintain their premises in a reasonably safe condition for the benefit of others who may enter onto the property. Fulfilling this duty may include making periodic inspections of the property and being aware of the condition of the property at all times, repairing or remedying dangerous situations or warning the public about any dangers. 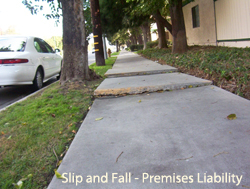 Premises Liability Claims – In addition to keeping the property in good repair, such as fixing broken handrails, steps or sidewalks, restaurant and grocery store owners in particular must be alert for food or drink spills which could lead to a slip and fall, causing serious injury from a broken wrist or hip to a head or neck injury. If an unreasonable time passed between the spill and the injury, and no responsible party attempted to clean up the spill or put out a warning, the owner may be liable for the injuries which resulted. Property owners and property managers may also be liable for failing to provide adequate security that leads to injuries. For instance, if parking garages or stairwells are kept well-lit, the owner may be liable for an assault that occurs. Dog owners can be liable when their dog bites another under certain circumstances. 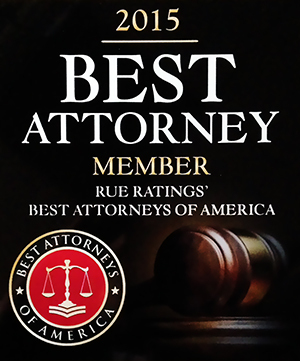 Our attorneys have decades of experience handling nearly every type of personal injury and wrongful death case and have achieved numerous verdicts & settlements in cases involving product defects or dangerous premises. If you or a loved one has been injured by a defective product or due to the unsafe property of another, contact Curd, Galindo & Smith, L.L.P. for a free consultation with one of our experienced personal injury lawyers.